I wanted to continue our series on opals today. We've talked before about some of the general terminology of opals. 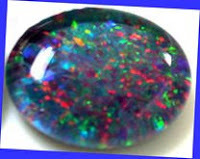 In this article I wanted to try and define the terms used to describe a precious opal's fire pattern. Every opal is different but opal dealers have put them into categories to make descriptions easier. There are seven generally accepted categories used in the opal trade. The most common are "pinfire", "broadflash", "flashfire",and rolling broadflash. There is also what are referred to as harlequin. And others are categorized as rare patterns or picture stones. Pinfire opals have tinyl pinpoint circles of fire. Flashfire has larger areas of fire that are irregular in shape. The splashes of fire can be fairly large but no one area would cover more than 50% of the surface of the opal. Broad Flashfire displays sheets of color covering large sections or all of the stone's surface. Rolling Flashfire has sheets of color which roll across the surface of the stone as it is moved in the light. These are highly sought after and almost impossible to accurately photograph. Harlequin. A true harlequin opal has square or angular blocks of fire set closely together. They are extremely rare and very valuable. 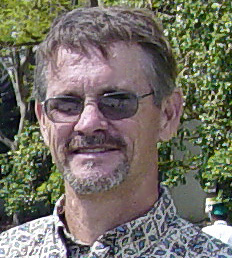 Patterns that are not regular are also especially valued but not true harlequins. Picture Stones are opals that have an unusual pattern that resembles a picture of something, kind of like with picture jasper. Rare patterns, as you might imagine, is kind of a catch-all category for everything else. Opals can be very difficult to photograph and even harder to describe. Hopefully knowing these terms will make it a little bit easier to visualize what an opal looks like when you read a description and easier for you to describe one to someone else.